Principal Investigator; TUMCREATE, TUM CREATE Limited, Singapore. - 2006: Founding Director (Design, development and implementation) of the full time MSc programme “Transportation Systems” at TU München and till 2012 programme director of that master programme. - 2006: Founding Director (Design, development and implementation) of the Summer Scholl “Latest achievement in transportation planning and traffic control” at the Tsinghua University, Beijing, China. 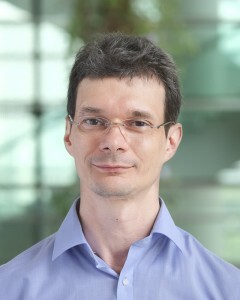 - 2009: Founding Director (Design, development and implementation) of the full time MSc programme in “Transport and Logistics” at the German Institute of Science and Technology – TUM Asia, Singapore. - 2016: Implementation of a railway engineering specialization as part of full time MSc programme in “Transport and Logistics” at the German Institute of Science and Technology – TUM Asia, Singapore. - A. Rau, A. Nayan, and Y. Zhou, “Route Planning Methodology for an Autonomous Modular Public Transit System,” in Proceedings of The 26th Transport Science Day, Dresden, Germany, 2018. - X. Liu, Y. Yang, M. Meng, and A. Rau, “The impact of different bus stop designs on bus operating time components,” Journal of Public Transportation, vol. 20, no. 1, pp. 104–118, 2017. DOI: 10.5038/2375-0901.20.1.6. - B. Du, Y. Zhou, and A. Rau. “Imputation of passengers’ trip activities based on smart card data”. In Proceedings of mobil.TUM 2017 – International Scientific Conference on Mobility and Transport. Munich, Germany, July 2017. - Zain Ul Abedin and Andreas Rau, “A genetic algorithm based robust public transport network design model,” in Proceedings of 5th Symposium arranged by the European Association for Research in Transportation (hEART), Delft, Netherlands, 2016. - Wang, W., Rau, A. and Wong Y.D. How do electric cars fit after peak oil?, Civil Engineering Research, School of Civil and Environmental Engineering, Nanyang Technological University, Singapore, No. 25, January 2012, 113-117. - Instructor for the Seminar “Public Transport Fundamentals”, organized by the Singapore Land Transport Authority (LTA) and the Organization for Public Transport Authorities and Operators (UITP), 23. March 2016, Singapore. - Simulation of the public transport system of Singapore by using smart card data; NECTAR Cluster 8 Meeting; Big data: a new opportunity for urban transport and mobility policies. 10.-11. March 2016, Sevilla, Spain. - Instructor for the Seminar “Unlocking the Potential of Urban Rail” organized by the Korean Rail Research Institute (KRRI) and Organization for Public Transport Authorities and Operators (UITP), 08. March 2016, Seoul, South Korea. - Instructor for the “Regional Training on Sustainable Urban Mobility Planning in Asian Cities” organized by the Islamic Development Bank (IsDB) and the German International Cooperation (GIZ), 26 – 28 November 2015, Kuala Lumpur, Malaysia. - Modelling of Singapore’s public transport system using smart card ride data and PTV Visum, PTV Asia-Pacific User Group Meeting 27th October 2014; Singapore. - Introduction to Timetables and Planning, UITP Asia Pacific Transport Planning and Scheduling Master Class, 27th June 2013, Bangkok, Thailand. - Workshop on public transport planning, Shanghai Jiaotong University, 31.10.2012, Shanghai, China. - Four day training course on public transport planning and scheduling for Init AG, October 2012, Karlsruhe, Germany. - Two day training course on Public transport planning for the Indonesia Land Transport School (STTD), August 2010. Im Auftrag GIZ SUTIP Jakarta, Indonesia.